Dampen a paper towel with water and trim the base of the herb’s stems. Wrap the herbs in the paper towel and place in a large ziploc bag. Store ziploc bag in the warmer parts of your fridge (i.e. the top shelves or the upper door). Trim the stems of the herbs and place into a cup. Fill the cup with enough water for the herbs to drink. 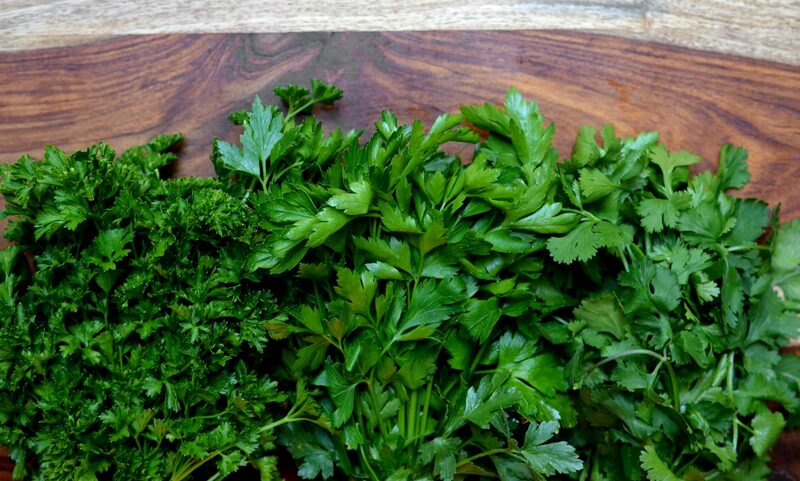 Cover the herbs with an open plastic bag and place on one of the top shelves of your fridge. Change out water every few days. Basil does not like the cold. Trim the stems of the basil and place in a cup with enough water for it to drink. Leave on the counter, away from the sun, with an open plastic bag covering it.